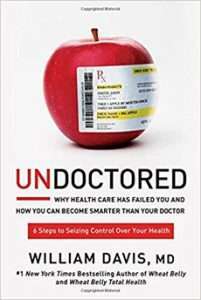 With Undoctored, the code to health care has been cracked―Dr. Davis will help you create a comprehensive program to reduce, reverse, and cure hundreds of common health conditions and break your dependence on prescription drugs. By applying simple strategies while harnessing the collective wisdom of new online technologies, you can break free of a healthcare industry that puts profits over health.